Nutrition is a branch of science that interprets and analyzes the interaction between nutrients and other matter in food, with respect to growth, maintenance, reproduction, and health and disease of a living organism. This topic encompasses intake, assimilation, absorption, catabolism, biosynthesis, and excretion of food. Food science deals with the study of the physical, chemical, and biological makeup of food; and the underlying concepts of food processing. This discipline combines engineering, physical, and biological sciences to investigate the nature of the foods, the causes of food deterioration, the fundamental principles underlying food processing, and improvement of foods for public consumption. 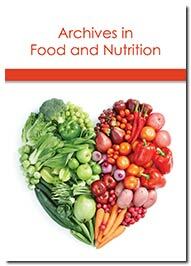 The journal encourage studies pertaining to nutrition, health foods, functional foods and beverages, and medical foods. Novel discoveries in the field of Nutrigenomics, Nutritional Epidemiology, Immunonutrition, Endocrine Nutrition, and Nutritional Care are welcome. This journal encourages multidisciplinary research related to nutrition and metabolism by focusing on areas; nutrition and food, nutrition and diabetes, nutrigenomics, nutritionist communications, food chemistry, food Science, diabetes nutrition, food safety and human health with a underlying emphasis on patient care. The journal aims to shares and disseminates the latest research developments on topics including; food safety, fermentation, probiotics, microbial pathogens, anti-microbial preservatives, food additives, microbial contamination, food poisoning, edible microbial colourants, food service, and processing, biofilm contamination, and food borne diseases. 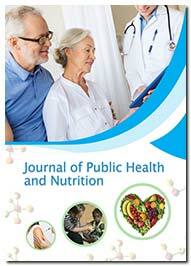 The journal focuses on a wide spectrum of topics including food, nutrition, diet, vitamins, minerals, salts, fats, proteins, carbohydrates, sea foods, vegetables, fruits, eating disorders, healthy weight management, food safety, meal management, exercise, physical activity, malnutrition, micronutrients, macronutrients, nutrition deficiency, non-nutritives, food adjuncts and drugs. Journal of Food Science and Nutrition is an interdisciplinary journal that incorporates the basic applications of food science and technology for better methods and tools to preserve food, safe and time efficient food processing, food packaging and fermentation technology. In addition, the journal aspires to publish research showcasing the possible causes of nutritional deficiency on an individuals. 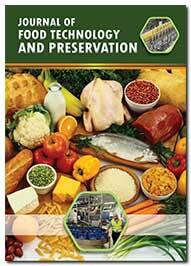 The journal scope encompasses the knowledge in food technology and preservation including; drying, cooling, freezing, boiling, heating, salting, sugaring, pickling, canning, jugging, curing, fermentation, industrial techniques, pasteurization, vacuum packing, artificial food additives, etc. 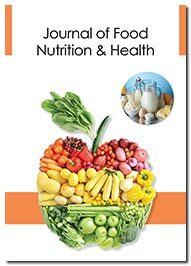 The Journal covers a broad spectrum of themes in nutrition, including nutrition and food, nutrition and diabetes, nutrigenomics, food chemistry, food Science, diabetes nutrition, food safety and human health. The principal criterion for publication is potential impact on patient care. The journal aims to promote the traditional aspects of Health and hygiene by focusing on the research related to epidemiological factors influencing public health, dietary patterns, nutrient density, disease prevention, public health governance along with the modern developments in relation to health care and healthier lifestyle.